The Center for Global Policy’s Director of Strategy and Programs, Dr. Kamran Bokhari, sat down with Prof. Peter Mandaville to discuss the Muslim Brotherhood's many incarnations and how concerns about the group have affected policies and conversations about Islam in the United States. 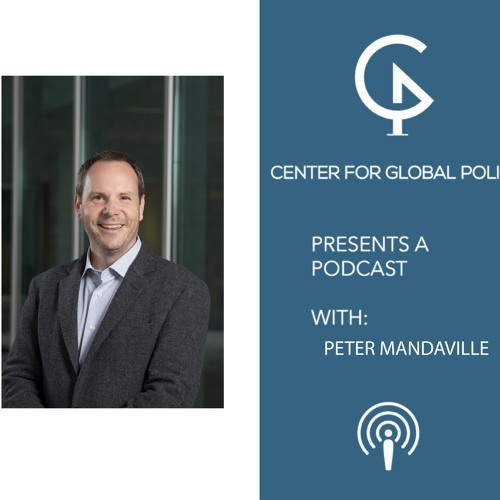 Professor Mandaville, who has worked for the State Department in senior advisory capacities, is a professor of international affairs at George Mason University, a senior research fellow at Georgetown University and a nonresident senior fellow at the Brookings Institution. Most people believe either that the Muslim Brotherhood is a terrorist organization or that it represents Muslim democrats who have rejected violence in favor of politics. However, Prof. Mandaville says, the truth is much more complex and somewhere in between those two polar positions. "Muslim Brotherhood" does not mean any one thing; the original group, founded in Egypt nearly a century ago, has spawned and inspired many other groups and/or political parties across the Middle East and North Africa. Each of those groups tends to have its own agenda. Mandaville argues that there is no simple response to whether the Brotherhood provides a potential path to extremism or serves as a firewall between the impetuosity of frustrated and disenfranchised youths and terrorist activity. Although the Muslim Brotherhood has engaged in violence in the past, broadly the core group is not oriented toward terrorism. In the West, concerns about the Muslim Brotherhood have led to debates about whether the organization is present and, if so, if its motives are nefarious. What Mandaville called the "growing Islamophobia industry in the United States" pushes the agenda that the Brotherhood is using organizations like the Islamic Society of North America and the Council on American-Islamic Relations to bring sharia to the United States. Those organizations say they have nothing to do with the Muslim Brotherhood and simply want to provide services to their members and practice their faith. Once again, Mandaville says neither is the entire truth; some individuals involved in founding these North American organizations did have ties to the Brotherhood or were members. However, when they came to the United States, they came to pursue education or economic opportunities, not to infiltrate and undermine U.S. society. Mandaville says that before 9/11, Muslim immigrants were often called Arab-Americans or immigrants from South Asia. Now, Mandaville says, their "Muslim-ness" is the focus, as if everything about them can be reduced to their religious beliefs. That change is a product of the contemporary climate surrounding discussions of Muslims in the United States.